“Joanna and Karim came to Greece all the way from Lebanon to celebrate their wedding with their amazing friends and family. 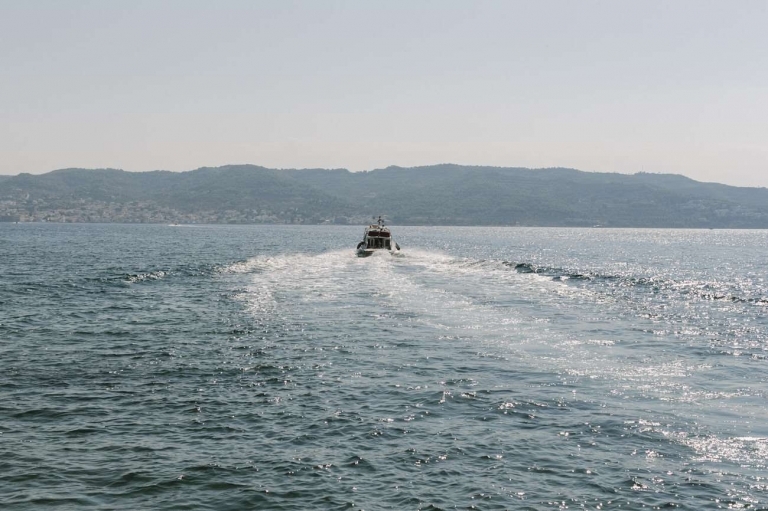 The destination experience was all they wanted and Greece had everything they needed. They started the celebration with a welcome cocktail and dinner night, followed the following day with probably the best beach party I have ever seen and documented. The attention to detail was amazing and everyone really invested into the theme. Kudos to The Twelve Events for really creating something special for the couple. 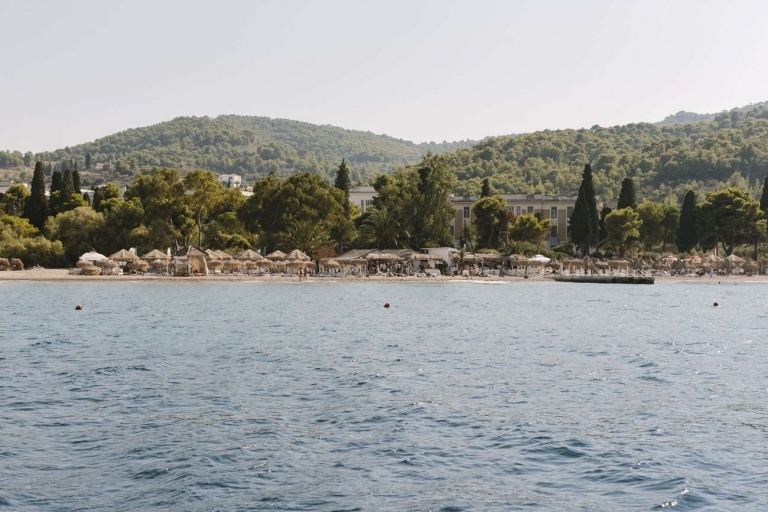 So if you are thinking of having your wedding in Spetses, you should, it is a beautiful island! Here is a small selection of beautiful moments I know people will cherish forever.” Adam Alex, Destination Photographer. We couldn’t describe this beach party any better than Adam Alex did in just these few words. We were honored to be a part of such a fun party that of course lasted until the very early hours of the following morning! 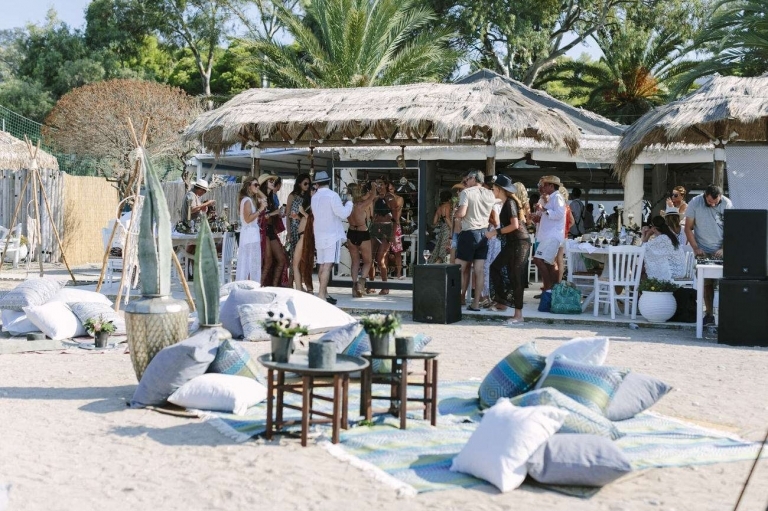 Kaiki Beach was transformed into a bohemian setting, complete with teepees, open bonfires and large lounge areas on the sand with cushions and rugs for the guests to lie on. The attention to detail was certainly our priority to bring this boho theme to life. 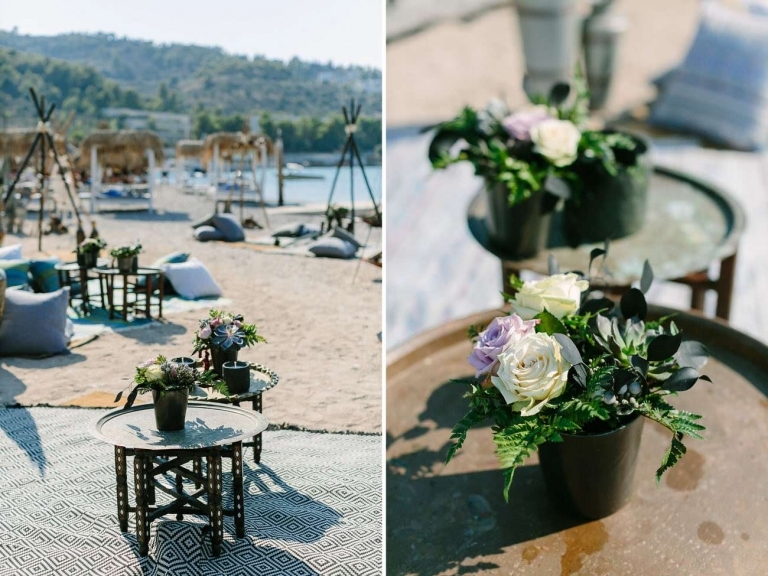 Hanging macramé dream catchers, cacti and colorful flowers strewn along the beach and large feathered Indian headdresses were just a few of the details that transformed Spetses into the bohemian beach party our clients had envisioned for their special day…!